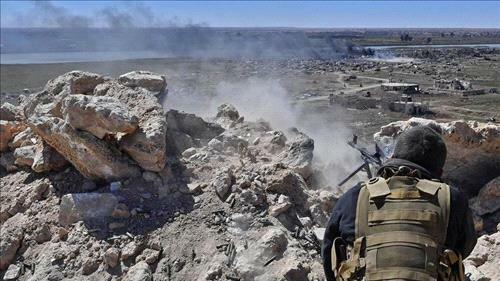 AMMONNEWS - ISIS has been defeated at its final shred of territory of Baghouz in Syria, the US-backed Syrian Democratic Forces (SDF) said on Saturday, declaring the end of its self-declared “caliphate” that once spanned a third of Iraq and Syria. The SDF declared the “total elimination of (the) so-called caliphate,” Mustafa Bali, head of the SDF media office, wrote on Twitter. “Baghouz has been liberated. The military victory against Daesh has been accomplished,” he wrote. The SDF has been battling to capture Baghouz at the Iraqi border for weeks. Daesh is an Arabic acronym for ISIS. “We renew our pledge to continue the war and to pursue their remnants until their complete elimination,” he wrote. The defeat of ISIS in Baghouz ends the group’s grip over the extremist quasi-state straddling Syria and Iraq that it had declared in 2014.